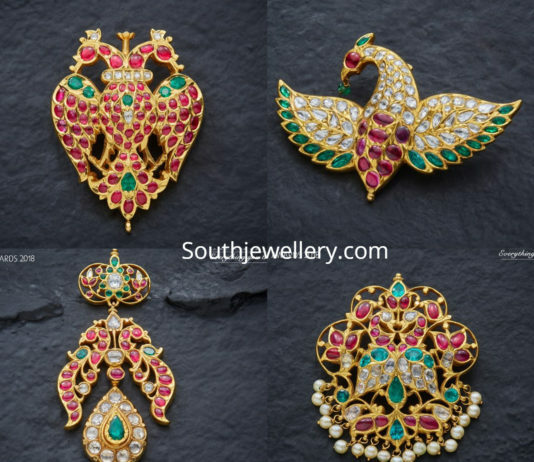 22 carat gold antique finish Radha krishna pendant adorned with diamonds, emeralds, ruby and south sea pearls by VJ Jewellery Vision. 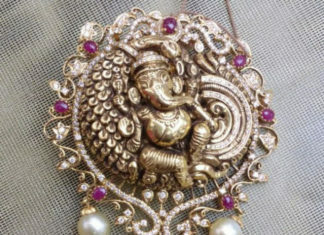 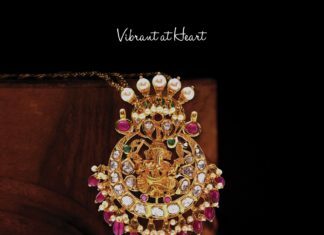 22 Carat gold antique Ganesh pendant adorned with diamonds, rubies and south sea pearls by VJ Jewellery Vision. 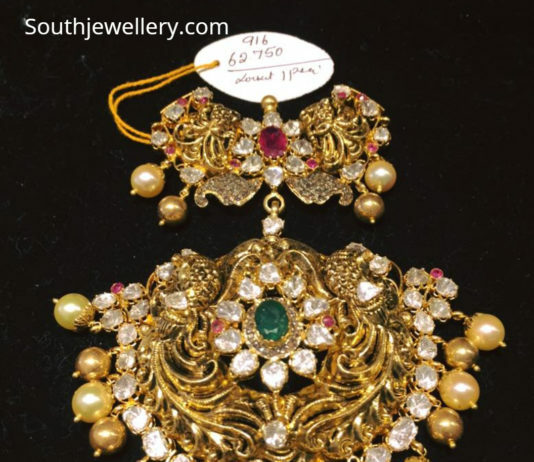 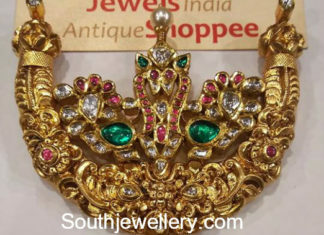 22 Carat gold antique peacock nakshi pendant studded with rubies, emeralds and polki diamonds by Jewels India Antique Shoppee. 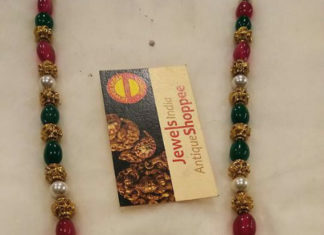 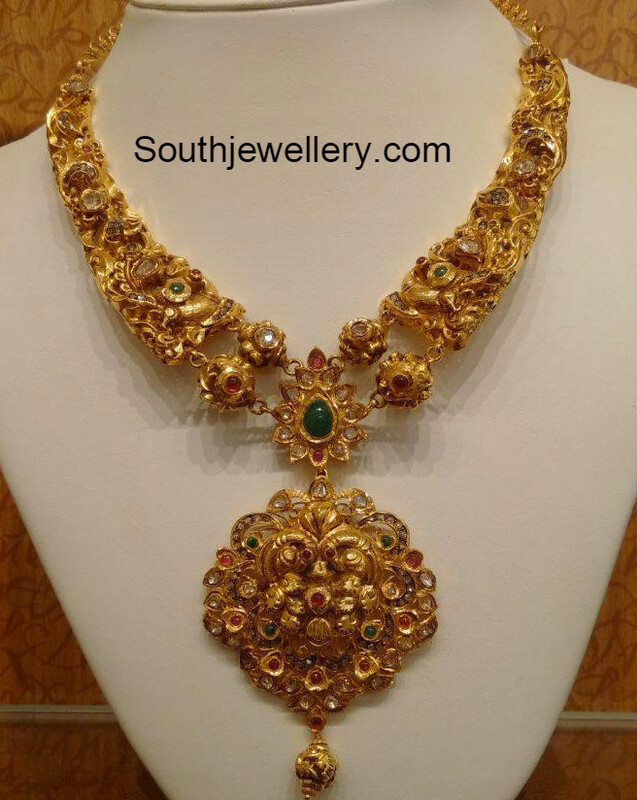 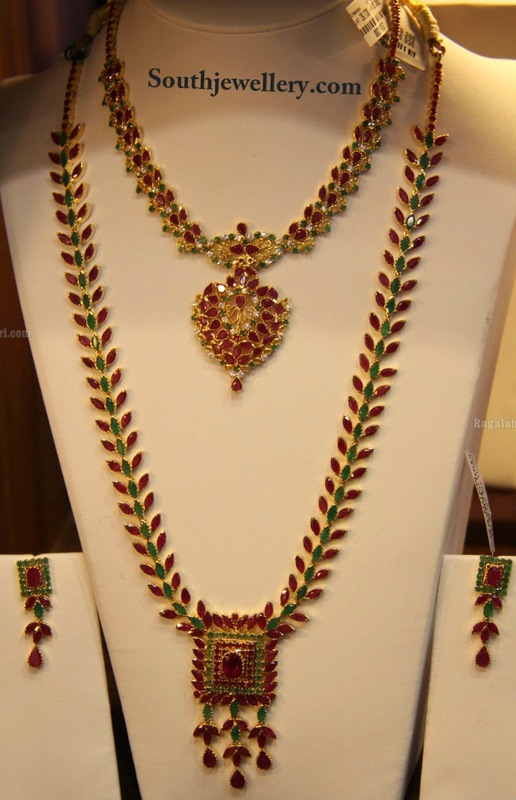 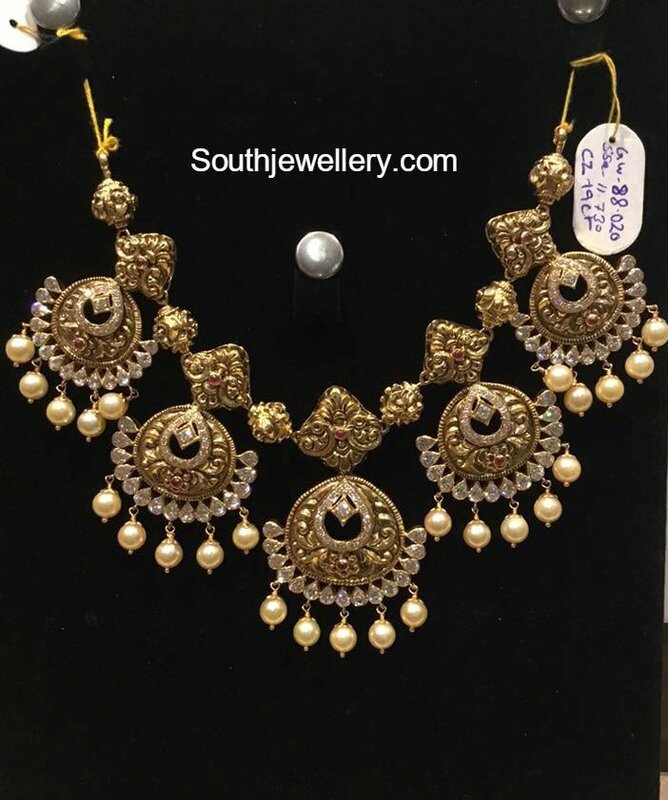 22 carat gold antique beads necklace with two step peacock nakshi pendant studded with rubies, emeralds and polki diamonds by Jewels India Antique Shoppee! 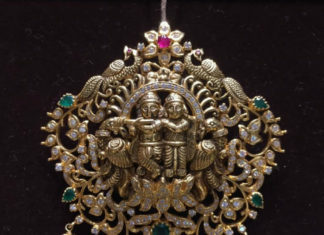 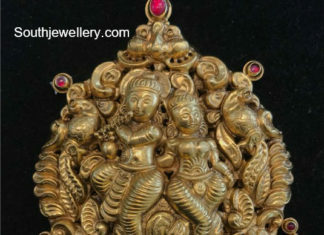 22 Carat gold antique nakshi Radha Krishna pendant studded with rubies by Omprakash Jewellers.